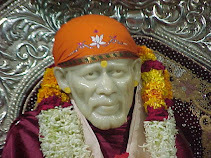 These three video clips from the episode shown on Star Plus Channel, September, 2007, shows the power and greatness of Udi of Shirdi, given by SaiBaba. Also the story shows that the sufferings we get is because of our past Karma or deeds. How our deeds, that had hurt others come back and hurt us. But nobody takes sufferings their own deeds hurting them, the complain is always on, about the sufferings. And also the finger is pointing to someone else for the sufferings. Talking with the close devotee Mahalsapati, Sai Baba is shown a little frustrated due to his immense love and care for his devotees. He explains to Mahalsapati, how much he will explain to the devotees not to do the deeds that hurt others or the deeds done to hurt others. How much he will run to protect his devotees. The Karma or deeds or one does not leave one, it follows birth after birth and there is no escape from it. And we don't understand that the sufferings is due to our own karma and the crying and complain goes on due to the misunderstanding. The Malik (God) is to be remembered in these times, but many a times he becomes the target of the complain for the sufferings. Nobody says that i will suffer the consequences of my own (Karma) deeds and remain devoted to the Malik (Allah, God, the only one). Everybody wants Sukh (good times), when people come to me i turn their misfortune into fortune, i have to give part of myself for that. Just to make them understand the importance of the good deeds for a good and better life. Also the misfortune due to ones own deeds that hurt other is shown as a old dangerous lady, which is visible only to Sai Baba and the one affected with the misfortune. How the sacred Udi saves one from such misfortune. 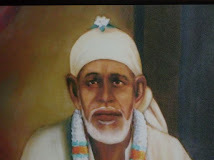 One such incident is recorded while Sai Baba was in physical body when Sai Baba stopped a lady and her child in the Masjid (Dwarkamai), when everybody was suppose to leave the Masjid after Afternoon Darbar (Gathering) with Sai Baba. After some time a lady with ferocious looks jumped out of nowhere in the Masjid asking for the kid. Sai Baba sent her away, with his Satka (Short Stick) asking her never to return for the kid. Sai Baba than said that she was suppose to take away the kid in the form of death coming after sufferings of Colera disease. In the following Sai Baba is also shown showing his utterance which he made number of times, that he will stay here to protect and guide his devotees, even after he leaves his physical body.